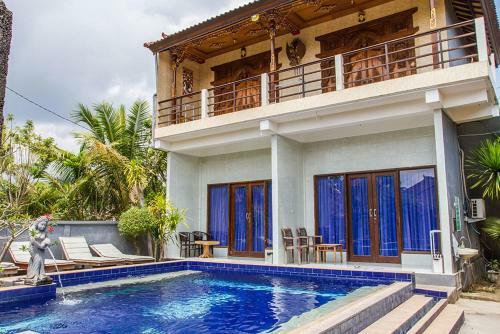 Set in Nusa Lembongan, 800 metres from Blue Corner and 2 km from Mushroom Bay, Wahyu Homestay 1 provides accommodation with free WiFi and a garden with an outdoor swimming pool. A balcony with garden views is offered in all units. The homestay offers a terrace. Mangrove Point is 2.1 km from Wahyu Homestay 1, while Sandy Bay Beach Club is 2.7 km from the property. Ngurah Rai International Airport is 32 km away. This double room has a view, private entrance and air conditioning.